Stressed at work? You’re not alone. 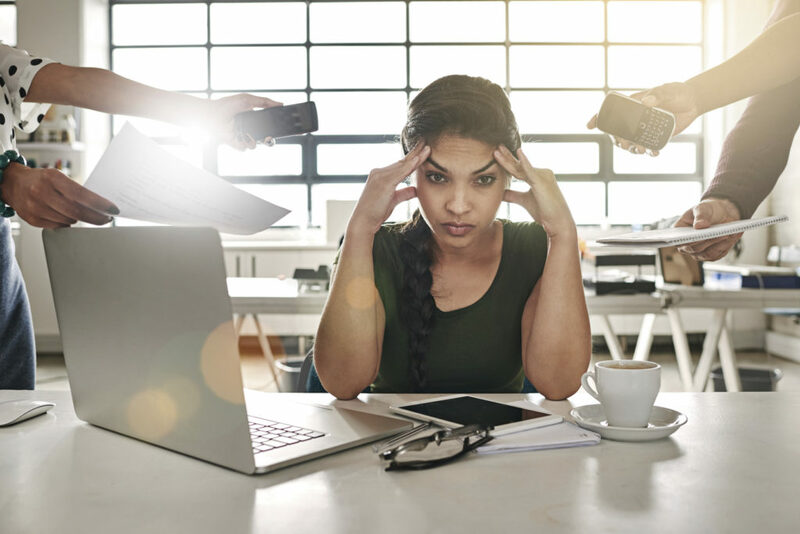 In our increasingly always-on, too-much-to-do, pay-attention-to-me-now world, it probably shouldn’t come as a surprise that stress in the workplace is on the up, but in a recent study we have some hard data to ponder. Stress was at the top of the list of health and safety concerns in UK workplaces, according to a bi-annual TUC study across the public and private sectors released last week. In this year’s survey, 70% of the 1,000 health and safety reps surveyed cited stress as a problem, a higher proportion than in any previous TUC study. You can read the full report via the link below. So if you’re feeling stressed at work you’re clearly in good company, but that fact might not do much to lower your stress levels. Here are some thoughts, inspired by GTD best practices, about things to try if you’re feeling stressed. Implementing GTD is ultimately about enhancing control and perspective; the two qualities that many people who are stressed at work find they lack. If you’re not sure how much control or perspective you have, take our quiz. Are you overwhelmed by the volume of work you have to deal with? Does it feel like you are awash in a sea of unfulfilled commitments, all jostling for your attention and focus? If so, maybe the scope of your responsibilities does not correspond to a sustainable workload. In other words, your job is Just. Too. Big. Instead, take some time to do a complete inventory of everything you’re responsible for at work. Sound daunting? It’s actually doable. What you’re responsible for in the big picture is a combination of the outcomes you’re responsible for achieving, and the things you are responsible for maintaining on an ongoing basis. If you’re in IT, say, you might need to roll-out the new version of software to the department (an outcome), and you need to maintain website up-time of 99.9% (something to maintain). Create yourself a comprehensive list of those things. Now you’re ready for a more productive conversation with the boss; to discuss whether some of the things on your plate need to make their way onto someone else’s plate, need to be deferred to a later time, or possibly should be nixed completely. Your responsibilities are clear and seem doable in theory, but you still have the sense you’re spending too much time at the office. If the scope of your role seems right but you’re at work more than you would like, then how about an efficiency upgrade? If you could make yourself, say, 15% more efficient, that would free up six or more hours a week. That equates to leaving the office an hour and a bit earlier every day. These are the kind of results that our clients realised after having attended one of our seminars and implemented GTD. They also reported being better able to shut off after work, and that they had more undistracted time for their families and friends. If you think you can become more efficient and less stressed, get in touch with us to check out GTD seminars and coaching opportunities. If you’ve done what you can to up your game, but the game still seems to be unwinnable, then maybe it’s time for a change. A different role in your existing organisation? A move to someplace new? New pastures might be just the thing you need. Read the full report from the TUC survey.